Something magical is growing at Cheekwood. Nestled between the Frist Learning Center —Cheekwood’s education hub— and Howe Garden, plans are underway to enhance the magic of Cheekwood for its youngest visitors. In realization of a cornerstone of The Cheekwood Campaign, we are delighted to announce the future Bracken Foundation Children’s Garden at Cheekwood. Made possible by a lead gift, this gift was structured as a challenge to raise an additional $2 million in endowment for the care and maintenance of the garden, prior to its anticipated groundbreaking. Now that it has met the challenge goal, Cheekwood will continue to raise funds for both construction and endowment of the garden. The Children’s Garden will be a new and exciting permanent family feature at Cheekwood, with the goal of being a welcoming and accessible reflection of Cheekwood’s unique offerings of gardens, nature, art, and history. 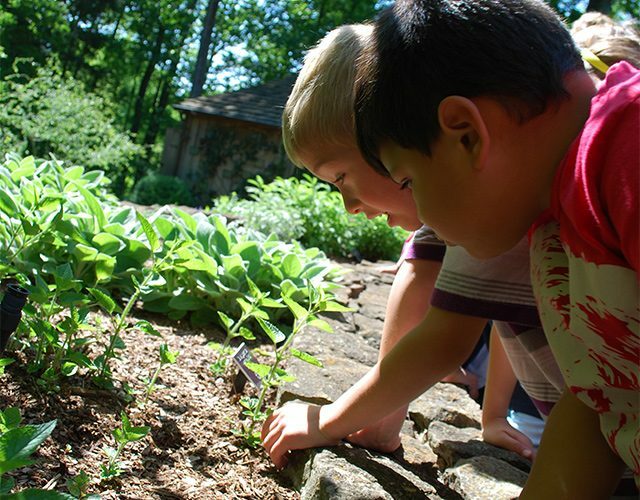 The Children’s Garden is currently slated to open in Fall 2019, welcoming a new generation of children to Cheekwood. There are many ways to support the Children’s Garden. From gifts in honor of a child in your life to a touching memorial to those who love them, there are opportunities at every level to celebrate the wonder of childhood and the magic of Cheekwood. Gifts of $5,000 and above will be recognized as Founding Families, taking part in exciting behind-the-scenes previews and opening events. All pledges may be paid over a period of up to three years. For more information or to make a pledge please contact Kristin Paine at 615.353.6993 or kpaine@cheekwood.org. Want to help little visitors in a bigger way? There are larger giving and major naming opportunities available for The Bracken Foundation Children’s Garden. For more information please contact Kristin Paine at 615.353.6993 or kpaine@cheekwood.org.